Hello. 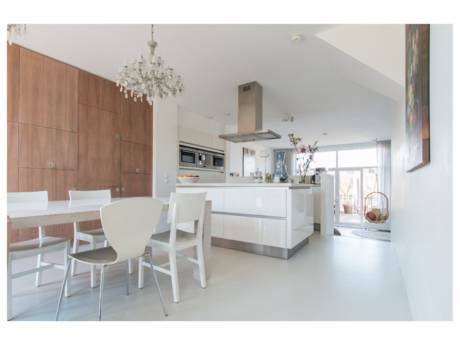 We are a family with three children and live in a quiet residential area in the centre of Amsterdam. 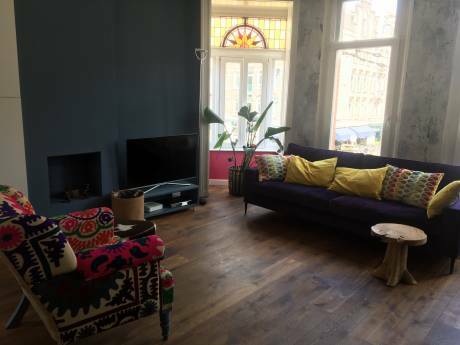 We have a beautiful (old but renovated) two story spacious house in the centre of the city. It has a large living room and a nice kitchen. Upstairs we have 4 comfortable bedrooms and in the basement another bed room (quest room). The house is very suitable for children and besides our garden the children can play on the schoolyard which borders our backyard. 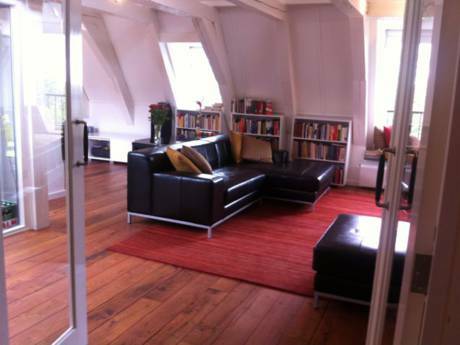 Our house is a short walk to famous museums like the Rijksmuseum, van Gogh and Het Stedelijk Museum. You can also enjoy good concerts at the beautiful Concertgebouw which is just behind our house. Amsterdam is a lively place especially in summer where there is lots to do for both adults and children for example the music Canal festival with over 150 performances including musical theatre to jazz lessons and renowned soloists present innovative concert programs. In the morning you can go to some fantastic bakeries for fresh baked bread and croissants. On saturdays there is a very good organic market just around the corner. Within 20 minutes you can spend a fantastic day at the beach where there are plenty of good beach clubs. Day at the beach in Zandvoort, Bloemendaal or Bergen. Or go to some of the typical Dutch villages like Volendam, Edam. Go for a bike trip in Amsterdam or take the bike along side the Amstelriver and sit down in the grass for a good picknick. Rent a boat and sail through the canals.